Premium quality split sole satin ballet shoes from Roch Valley in PINK, ideal for class and shows also perfect for ballet examinations. 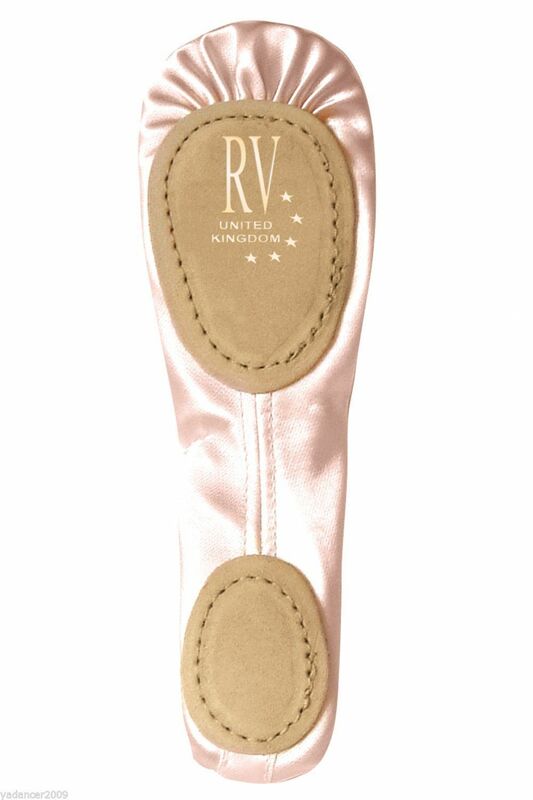 Roch Valleys classic Satin ballet shoes feature superb quality satin uppers and biscuit coloured split suede soles. The split sole allows the shoe to mould to the arch of the foot. These are designed to fit like a glove there should be no growing space, especially when buying these close to an exam or performance. 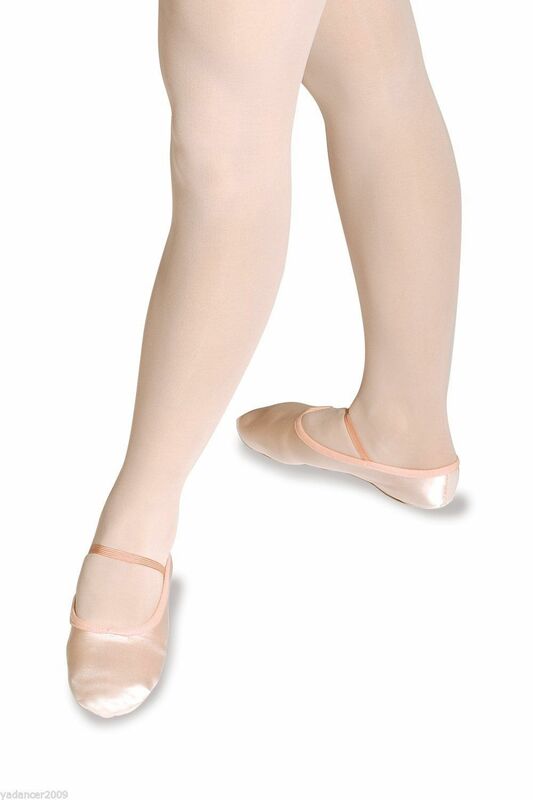 If the shoe is too big the dancer will have difficulty articulating to pointe. P lease order your usual outdoor shoe size BUT please remember to check you have ordered the correct size. The drop down menu of sizes does not always show in size order so please double check that you do not order the wrong size - smallest is size 1 Eur 33 and goes up to adult size 8 Eur 42.